Hello + Happy Monday! Today we're switching it up and doing something a little different: a newborn session! We tend to share more wedding and engagement sessions on the blog (You may not have seen any newborn/born photos unless you have been following along on instagram! ), and though weddings are the initial focus of this brand, we have always loved switching gears and photographing family sessions. 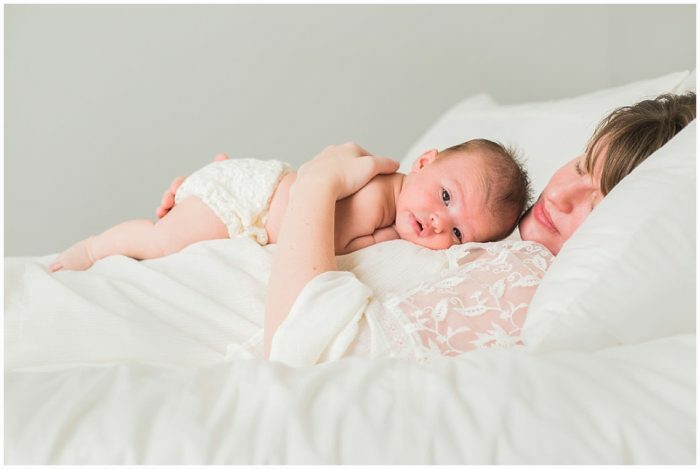 This year, we have been thrilled to photograph many newborn through 1 year sessions! We plan to share more of these sweet baby session with you in the not too distant future! So meet baby Piper and her beautiful mama. We dare you not to fall in love with those itty bitty fingers, the delicious chubby cheeks, and those gorgeous eyes.